For today the province of Chania offers many fascinating excursions : The famous Gorge of Samaria , the longest in Europe.The old monastery of Chrisoskalitissa. The Venetian Castle of Frangocastello.The ancient city of Aptera or the historical interest monastery of Gonia. 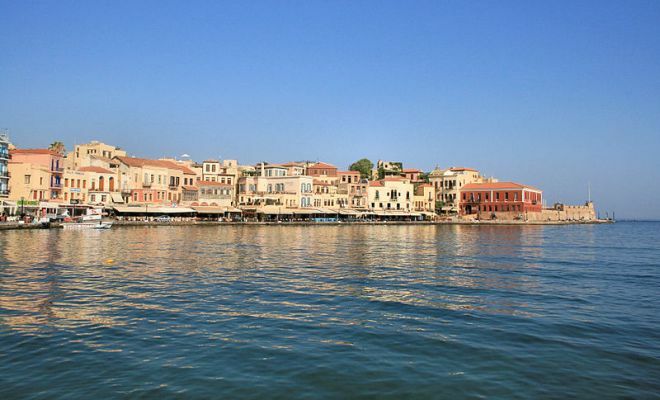 Overnight in Chania. Departure to Rethymnon. 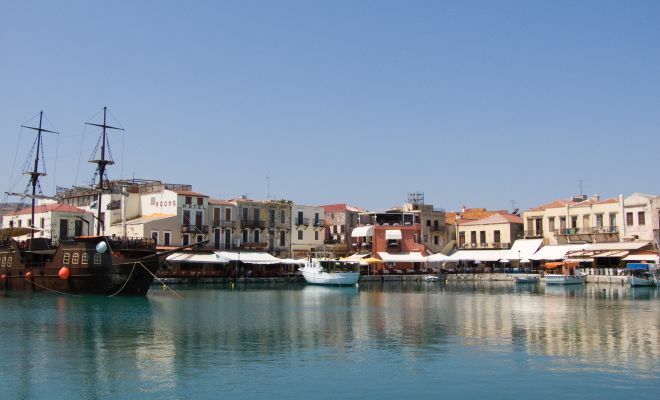 Rethymnon , more than any other town retains its ties with the past. A picturresque city on a long stretch of sandy beach with old beautiful house, a Venetian fortress and a Turkish Minaret. In the countryside around Rethymno foreigners can observe the traditional Cretan way of live and its natural setting. Interesting points : The historical Monastery of Arkadi. The wonderful Monastery of Preveli. The archaeological Museum of Rethymno, Venetian fortification of Fortetsa. The ancient Eleftherna, which is located at a distance of around 30 km to the SE of Rethymnon and occupies two long narrow ridges called Pyrgi and Nissi. The Minoan cemetery of Armenioi of which the layout seems to have been pre planned. All the tombs belong to the rock cut chamber tomb with dromos with the exception of the unique built tholos. Overnight in Rethymnon. Leaving behind you the region of Rethymnon, you still have many beauties to discover by coming into the province of Lassithi. The easternmost province of Crete with its unbelievable variety of landscape. The fertile Plateau of Lassithi where 10.000 windmills used to be on full sail and also one can visit small villages. You can visit a cyclopean wall , two houses completely uncovered date to theNewPalace period. The central Palatian building covers an area of 0,3 hec. You can also visit the church of Panagia Kera Ierapetras, long beaches where you can swim also in winter will impress you.Your next destination is town of Sitia ,where you can see the monastery of Toplou and ruins of ancient city of Zakros.Overnight in Sitia. The unique in Europe , Vai’s forest of Palm trees can be found in a short distance from Sitia. Continuing your exploring you will have the chance to see the magnificent gulf of Mirabello (again in the north side of Crete.). Also the tourist , but still picturesque town of Aghios Nikolaos , the capital of Lassithi province, built in the Mirabello gulf , has the delightfull air of typical island village The area of Lassithi offerss wonderful opportunities for excursions included : An unforgettable boat - trip to the medieval fortress of Spinalonga. 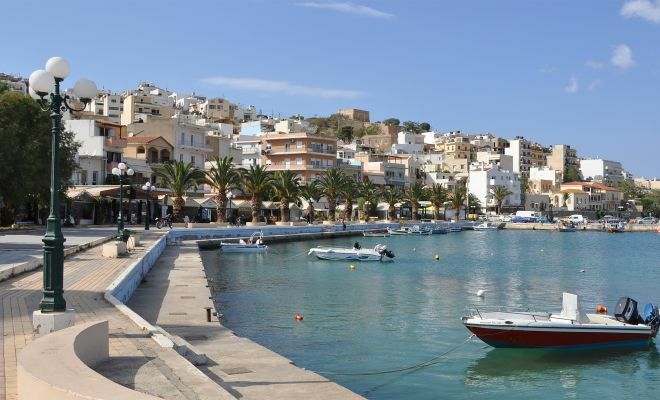 The famous nearby bay of Elounda. 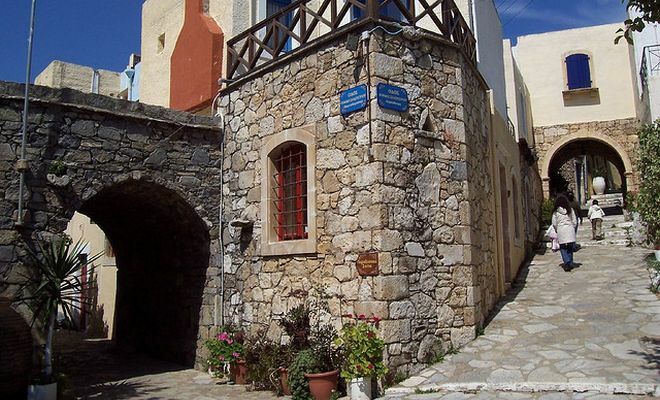 By following small roads you can also discover some very nice villages like Fourni Skinia, lots of Orthodox Churches. Late in the afternoon, arrival in Heraklion. Overnight in Arolithos. Crete is the largest and the most rugged of the Greek islands. 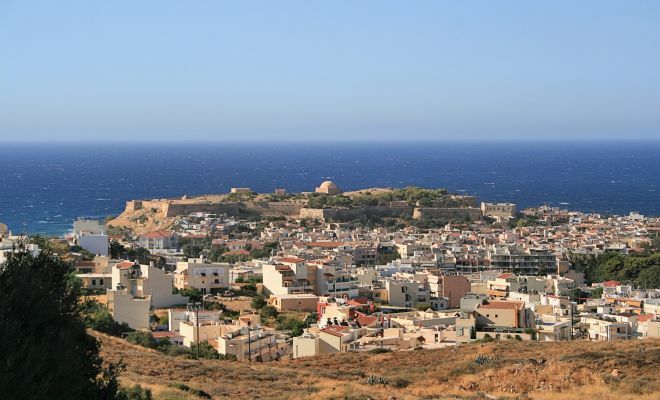 It is also the home of the great Minoan Civilization and the mythological home of Zeus. 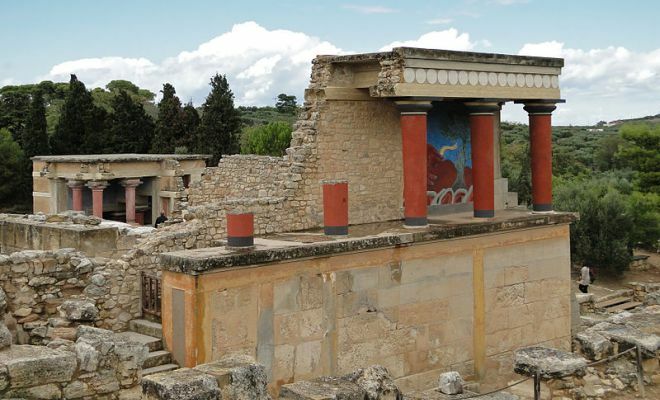 After a short drive through the town of Heraklion the tour will arrive at the Knossos excavations. 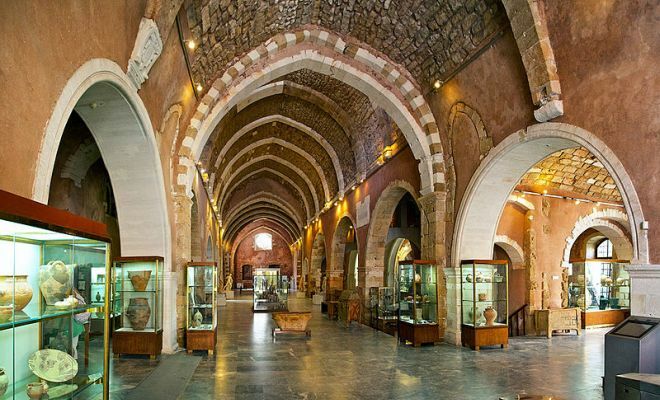 Here, Sir Arthur Evan’s archaeological discoveries revealed a civilization dating back to 4000 B.C., when a great empire flourished on the island of Crete. Based on the wealth of artefacts that were found, Evans theorized that this was the site of the ancient Minoan Kingdom. These findings will be viewed in detail, as your guide will lead you on a journey of discovery to learn of the sophisticated culture that flourished thousands of years ago on this island.The Palace, decorated with frescoes and shields houses the Hall of the Royal Guard, the Hall of the Double Axes, the King’s Chamber with the alabaster throne, the Queen’s Apartment, beautiful courtyards and shrines. 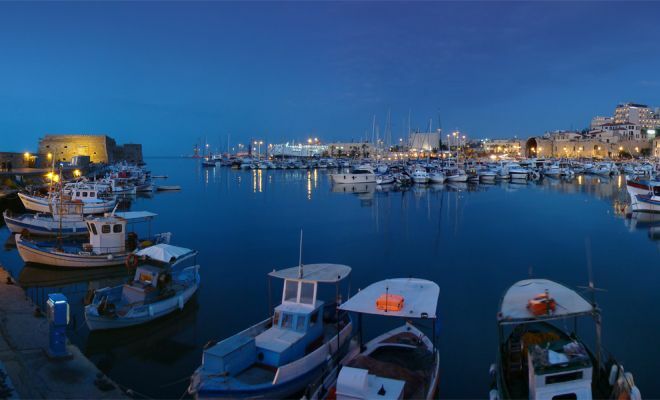 Having visited this remarkable site your coaches will take you to the heart of Heraklion where you will be given some free time to explore its beauties combining the facilities of a modern city with the unique Greek islands’ ambience. You will then re board your motor coach for the return journey to the Venetian lion-guarder port of Heraklion to rejoin your ship. 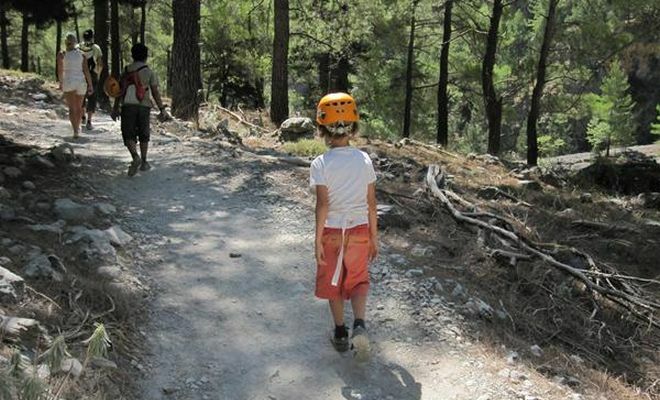 REMARKS Walking in the archaeological site of Knossos will be on uneven gravel surfaces. Passengers may not be allowed to enter the site with big bags/rucksacks.